In celebration of the millennium anniversary of Russian Orthodox Christianity, Theo Fabergé was commissioned to create The St. Vladimir Egg. 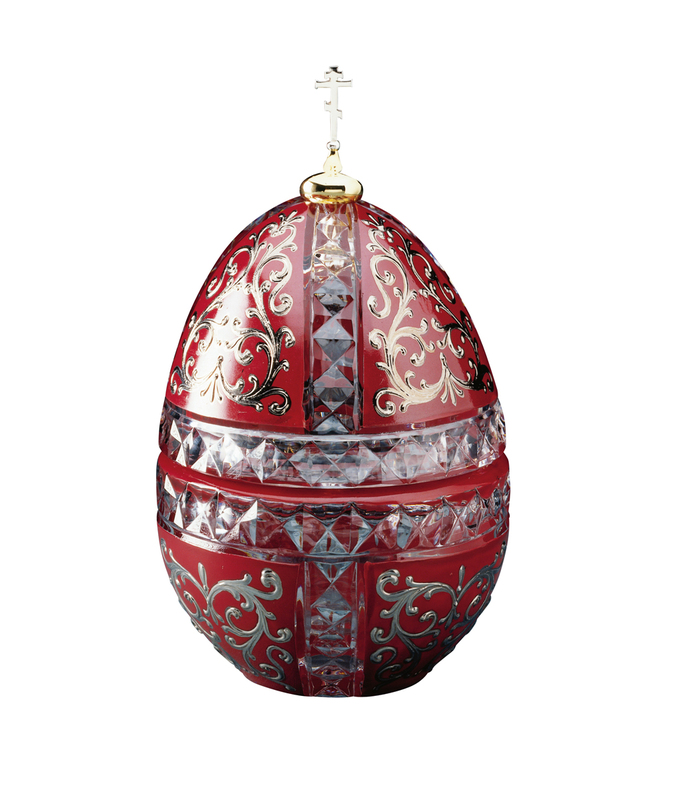 Evoking the splendour of Russia, the hand cut crystal Egg is decorated in rich burgundy enamel complemented by intricate silver designs. Crowned with a vermeil dome from which the sterling silver Russian Orthodox cross rises, the Egg opens to reveal a sterling silver scaled re-creation of St. Vladimir's Cathedral, which stands on the site where the first baptism took place in the year 988 BC, in Kiev. 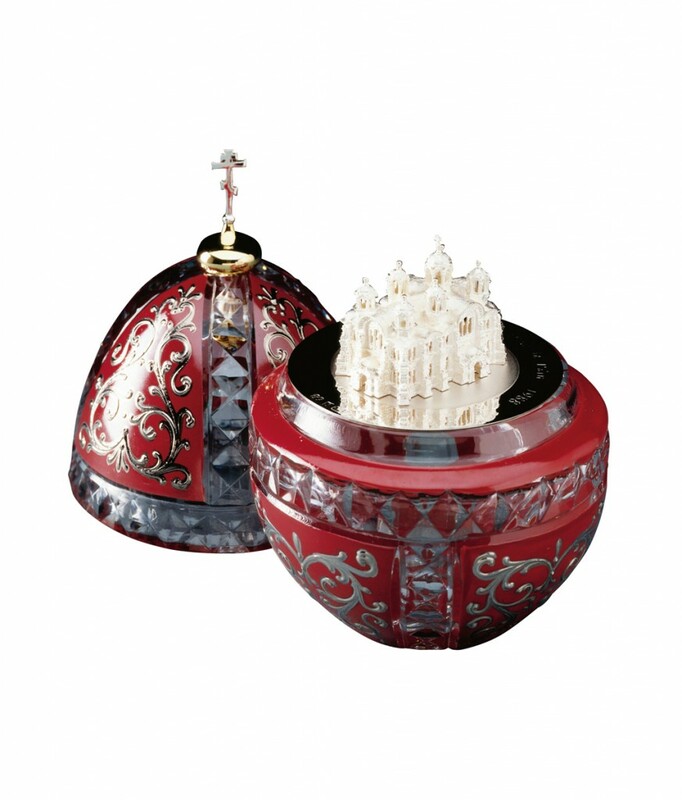 The sterling silver disc is inscribed in Church Slavonic: "988...Tysyacheletie Kreshcheniya Rus' 1988", which translated means, "988 One Thousand Years of Rus' 1988". Materials: Crystal, sterling silver and enamel.